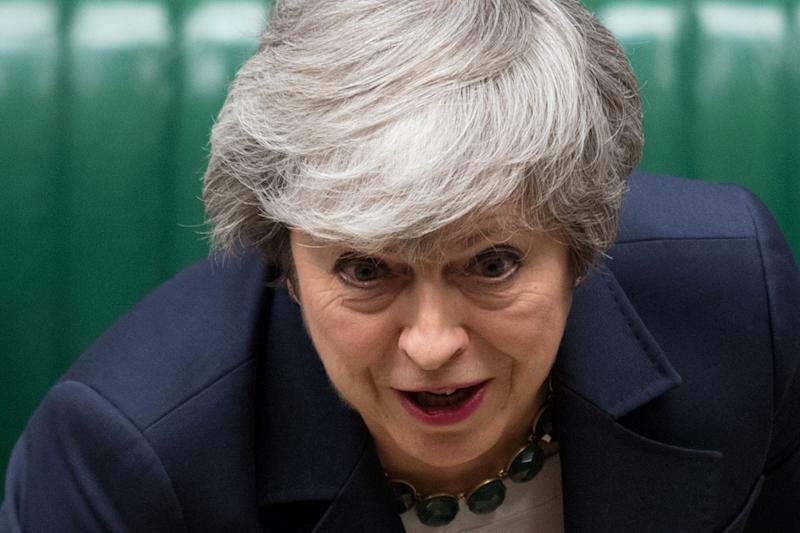 New York (AFP) - The pound fell on Monday as more Brexit uncertainty surfaced, culminating as the British parliament's speaker told the government it could not re-submit an unchanged, twice-rejected Brexit deal for a vote by MPs. Sterling's drop helped push up London's stock market, which features numerous multinationals with earnings in other currencies, while eurozone equity indices were a mixed bag at the close and Wall Street notched modest gains. "Thanks to the pound's shaky start, the FTSE was able to continue its recent rally," noted Connor Campbell, an analyst at the Spreadex trading group. The pound rallied last week, illustrating markets' surprising confidence that Britain's eventual EU exit will be smooth, despite political unrest over sealing the divorce. But on Monday it slipped as uncertainty about government and parliamentary action before the March 29 deadline made it "the worst performing major currency on the day," David Cheetham at XTB said. First, British Prime Minister Theresa May's government on Sunday warned it might not hold a planned Brexit vote this week unless it feels it can secure a win that avoids a lengthy delay to pulling out of the EU. The pressure on sterling increased in the late European afternoon when the House of Commons speaker said that, on procedural grounds, the government could not submit its Brexit deal for another vote in parliament if it is "the same" or "substantially the same" to the one already rejected by MPs. Lien said sterling's level would depend on British economic data this week, Brexit and a Bank of England meeting. An upcoming Fed meeting will meanwhile be closely followed for clues on the outlook for US interest rates, with some observers suggesting the central bank would pare its pace of hikes in the face of a slowing global economy. On the corporate front on Monday, share prices in Deutsche Bank and Commerzbank surged after Germany's two biggest lenders said Sunday they planned formal talks over a possible merger. The banks, both grappling with painful restructurings after years of falling profits, have long been the subject of merger rumors. The main oil futures contracts were up after major producers led by Saudi Arabia agreed Monday to keep working together to prop up crude prices, although they said they would decide only in June on whether to extend production cuts. Petroleum-linked shares were a leader on Wall Street, offsetting weakness in Boeing, which faces scrutiny following a second deadly crash of its 737 MAX jetliners in less than five months.